Schools are to be issued with the first national guidelines on transgender pupils in March. The guidelines are being drafted by the Equalities and Human Rights Commission (ECHR). They are reported to suggest that pupils should be allowed to change gender “at any time”, and that parents and pupils should refer to children by their “preferred pronoun”. It is reported that cross-dressing should be allowed and that a pupil’s chosen gender may be kept confidential from their parents. Tim Dieppe comments on the implications of such guidelines. The Equalities and Human Rights Commission (EHRC) is planning to issue the first national guidelines on transgender pupils for schools in March. Currently, in law, you can’t legally change your gender until you are 18 years old. A person needs to demonstrate that they have suffered gender dysphoria and lived in their ‘new gender’ for two years, and intend to continue doing so until death. This guidance proposes that children should have the right to self-identify their gender with no medical consultation and no cooling off period. The guidance then proposes that staff and pupils be required to refer to pupils by their “preferred pronoun”. This amounts to state-enforced lying about who the pupil is. The article refers to Christian Legal Centre client Joshua Sutcliffe who was disciplined as a teacher for ‘misgendering’ a pupil. The prospect of pupils and teachers being disciplined for ‘misgendering’ is indeed frightening. ‘Gender’ is not a social construct or something that we can choose at will. It is biologically determined. Boys and girls should be taught to respect the differences between the sexes and not to try to change them. It is a fantasy to suggest that “there are no issues under child protection or safeguarding” surrounding people changing gender and using different changing areas. The most rebellious boys in secondary schools are realising that they can cause considerable trouble by telling the school to recognise them as girls. They then get to cause disruption in girls’ changing areas, breaching privacy and upsetting girls in the process. Sexual assaults are likely to emerge from a policy like this. 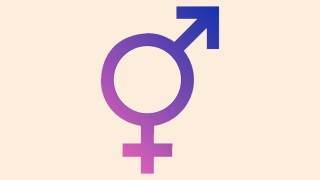 What happens if a pupil refuses to identify as male or female? Should the school provide bespoke toilets for every possible gender identification? This raises the prospect of children identifying as one gender at school and another at home without parental permission. This seriously undermines parental rights. The Christian Legal Centre has already seen a case where parents feared that their daughter could be taken into foster care unless they allowed her to identify as a boy. This is a fudge. Clearly some biological boys identifying as girls will claim discrimination if they are not allowed to compete as girls. The only fair way is to split sports by biological gender and not to allow people to cheat by changing gender. The good news is that opposition to transgenderism is now gaining traction in society and in politics. Government plans to allow adults to change legal gender at will have now been delayed in response to growing criticism. Recent news items have highlighted some of the problems involved, such as with transgender women being allowed to use a ladies swimming pond. In another case, a woman who requested a female nurse to perform a cervical smear test was “embarrassed and distressed” when a person with stubble and a deep voice arrived to perform the procedure. Christians need to stand firm on the scientific and theological truths about gender in order to protect women and children. We should not capitulate to state-enforced indoctrination or tyranny. While opposition is growing to what most people clearly regard as a step too far in political correctness, we need to call on the government to abandon their plans to allow gender change at will. Christian Concern intends to continue to keep up the pressure in the media and in the courts on this issue in 2018.